(Oct. 31, 2018) -- U.S. Congressman Joaquin Castro presented a $3.7 million grant to support the Northwest Vista College (NVC) Community Math Project, in collaboration with the UTSA College of Education and Human Development, and area community centers, to improve math knowledge of elementary education majors. The grant from the U.S. Department of Education aims to narrow the achievement gap in math for underserved communities. College Board research indicates that only 29 percent of Hispanic students are ready for college-level math courses. This alarming statistic results in lost educational and career opportunities for underserved students. 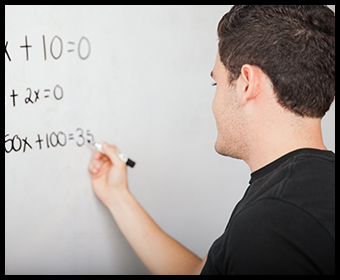 The Community Math Project is an all-encompassing math literacy initiative for college students, faculty, parents and their children. One of the important elements of this is providing sufficient math education for parents so that parents can support their children before and throughout their educational careers. Learn more about Northwest Vista College.